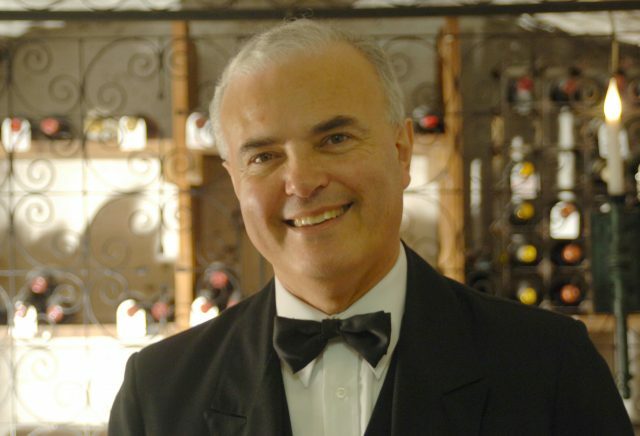 Master sommelier Gino Nardella began working at the Stafford London in 1976, and over the past four decades has helped shape its vast wine cellar. Born into wine, growing up at his family’s vineyard in southern France, Nardella was trained as a viticulturalist before joining the Stafford at 22. He became an MS at 27, and he rose through the ranks to become the hotel’s head sommelier. As well as nurturing the 8,000 bottles in the 17th-century wine cellar, Nardella also oversees the wine service in The Stafford’s restaurant, The Game Bird, which was relaunched in 2017. The wine list boasts a healthy balance of New and Old World pours, with prices ranging from a comfortable £39 for a perfectly pleasant Chilean Chardonnay from Aconcagua, to a wallet-busting £3,450 for a Château Mouton-Rothschild 1982. It also covers everything from vintage Champagne to Port and a strong by-the-glass offer. Describing the cellars when he arrived, Nardella says they were French-dominated with “the odd Spanish and Italian wine, but we usually poured that as house wine”. Being “very forward-thinking” for the times, by the late 1970s, The Stafford had wine from California, South Africa and Australia in its cellars. “For an establishment like The Stafford, we were very avant-garde, really,” he says.